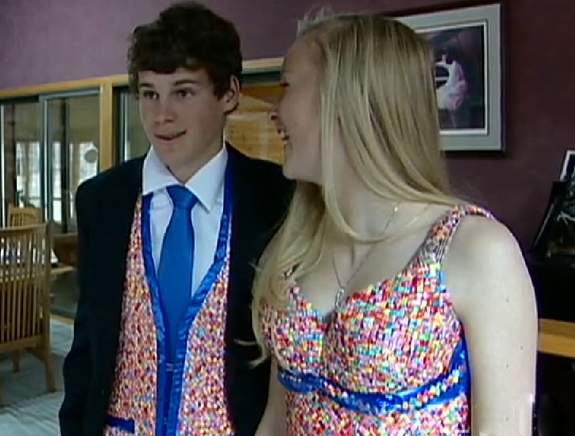 What would you do if your date’s mom made her prom dress out of Starburst candy wrappers? What about her accessories such as shoes, flowers, a purse and even a vest for you out of Starburst wrappers? Talk about having the sweetest dress at the prom.